Gavin On The Beach began as an eight unit motel in the 1960’s. The property changed ownership and the eight units were converted to four two-floor apartments with the living room and kitchen on the first floor, and the bedroom and bathroom on the second floor. When we purchased the property in 1993 it had been unoccupied for seven years and the property had suffered some damage from Hurricane Andrew. 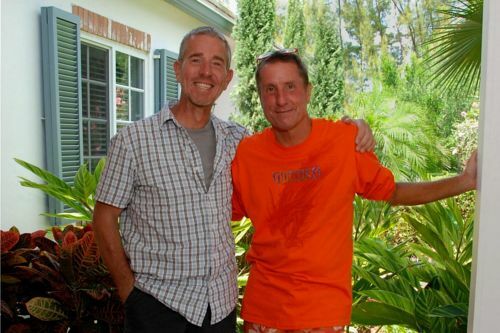 After repairs and some renovations, Gavin On The Beach was converted into eight studio apartments making long term rentals more affordable for the next twenty years. During that time our friends and family studio apartment was unoccupied most of the time, until a friend asked us to rent to a few of her clients coming into town for a short visit. And thus we were accidentally introduced to short term rentals for vacation visitors. We now have five studio apartments with full kitchens that we offer for vacation rentals. Each studio apartment comes with a full kitchens, a walk-in shower or tub/shower, in-room WiFi, and FREE parking. 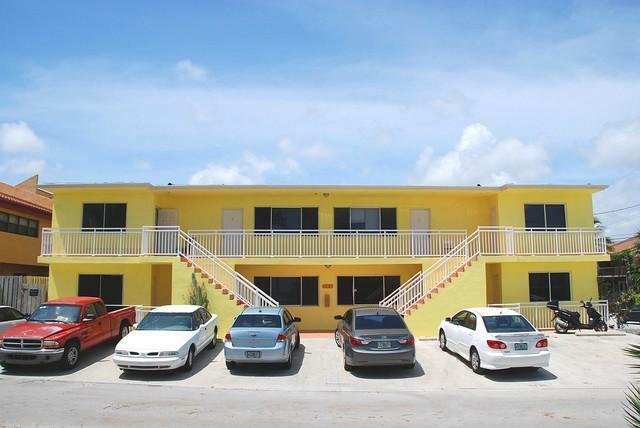 We have four studio apartments on the second floor with ocean view and have queen or king size bed. We also have one studio apartment on the ground floor for those guest that might have a difficult time climbing the stairs. 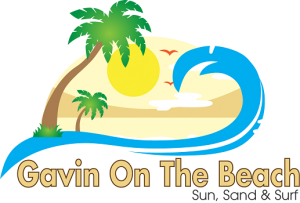 Gavin On The Beach is located just four blocks south of Hollywood Boulevard and only steps away from the famous Hollywood Broadwalk (a brick-lined walkway along the beach) and a beautiful white sandy beach. Within walking distance you will find many small restaurants and shops, including the Margaritaville Hollywood Beach Resort. A short Trolley ride will take you to Young Circle/Arts Park in downtown Hollywood where you will find many other restaurants and on Monday evenings the popular gourmet food trucks. Dale & I enjoy a wonderful life together on Hollywood Beach in Florida, along with our beautiful dog, LucyOla, and our sassy cat, Sabrina. We enjoy meeting our guest that visit from all over the world, learning about them and where they come from, and have discovered that no matter where we all come from, we are all very much alike. We enjoy traveling to the mountains and enjoy rivers and lakes, and have recently discovered cruising. We are so lucky to have visitors from all over the world and look forward to their return each year. 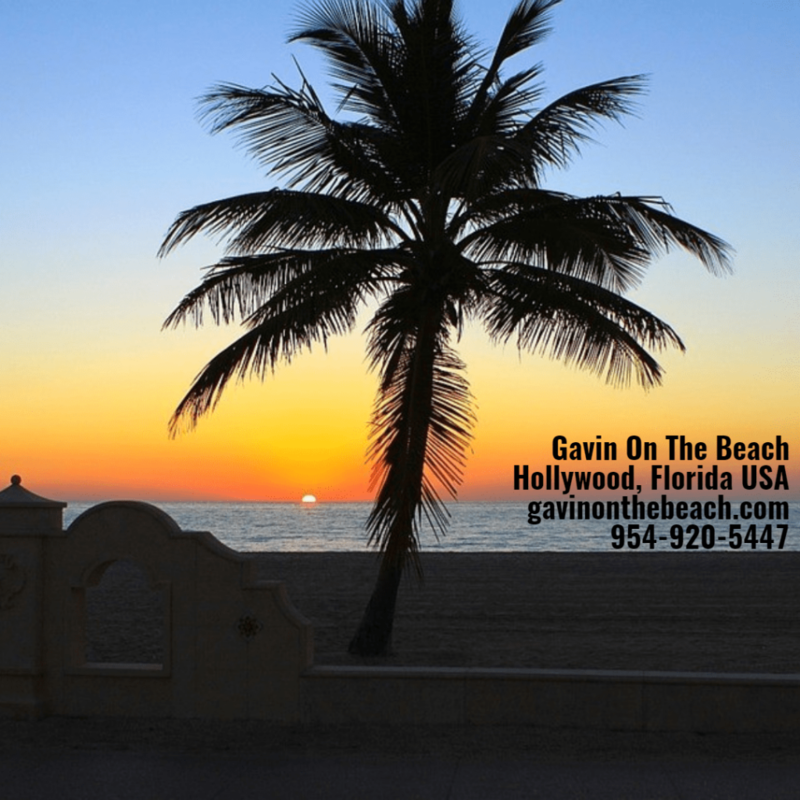 Although not modern, we do our best to maintain and keep Gavin On The Beach clean and affordable, something that is getting harder to find on Hollywood Beach. 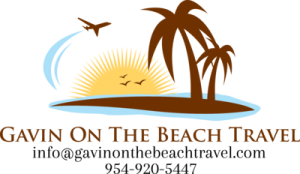 We invite you to come visit and enjoy one of the best beaches anywhere.